Believe it or not there are many books out there that discuss photobooth photos, machines and photobooth art. Generally they are surveys of that genre of photography, covering the work or collections of numerous people in one volume. Occasionally they’re a record of photos made at an event or from a specific installation of a machine in a public place. 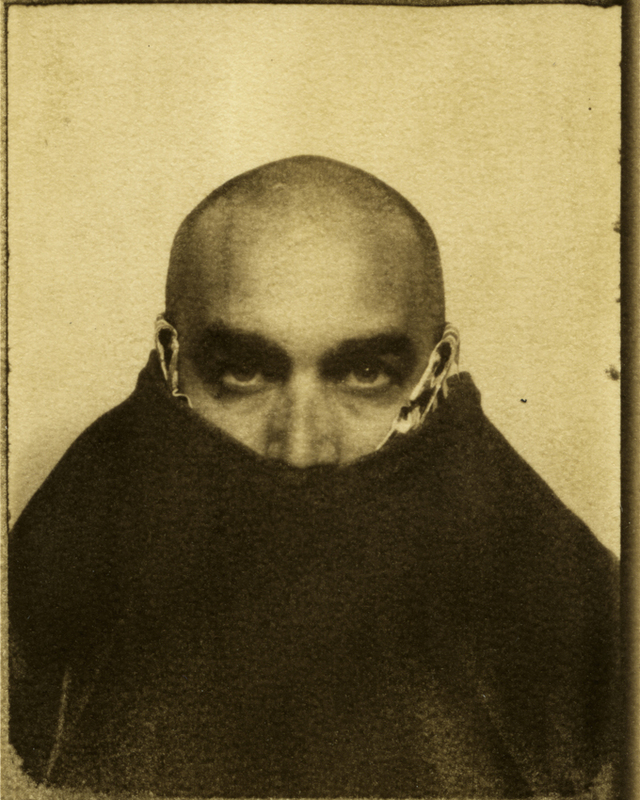 It is quite unusual to find a monograph of photobooth photos, showcasing a series of works by one artist. 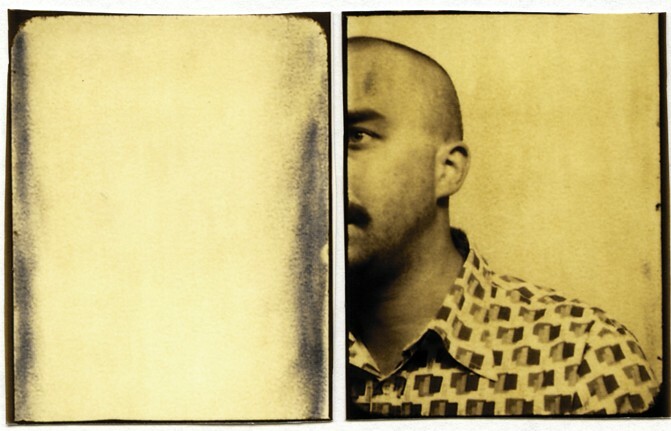 The Photobooth – Facial Hair by Dutch photographer, Daniel Heikens is one such book. These days, it is within the hands of anyone to produce their own publication. The marvellous medium of online book publishing, at sites such as Blurb and Lulu, can be a great tool in skilled hands. Through the experience of having bought a few of these self-published works, I can tell you it is very much an exercise in trust. You cannot tell who has skilled hands until you’ve done your cash. One can never be sure what will be inside, when that little brown package is delivered. Daniel published his work through Blurb, so I was apprehensive about what I’d be getting when I placed my order. However, I was very pleasantly surprised when my copy of the book arrived. The high quality production is short, at just 24 pages, but satisfying in its varied mix of documentary and creative photos. The modest statement at the front of the book, that it documents the growth of his facial hair over three weeks “That’s really all I want to show“, belies the complexity of some of the images, whether deliberate or not. Despite these ostensibly being photographs of the same individual, Daniel has created different characters through the use of props and poses. 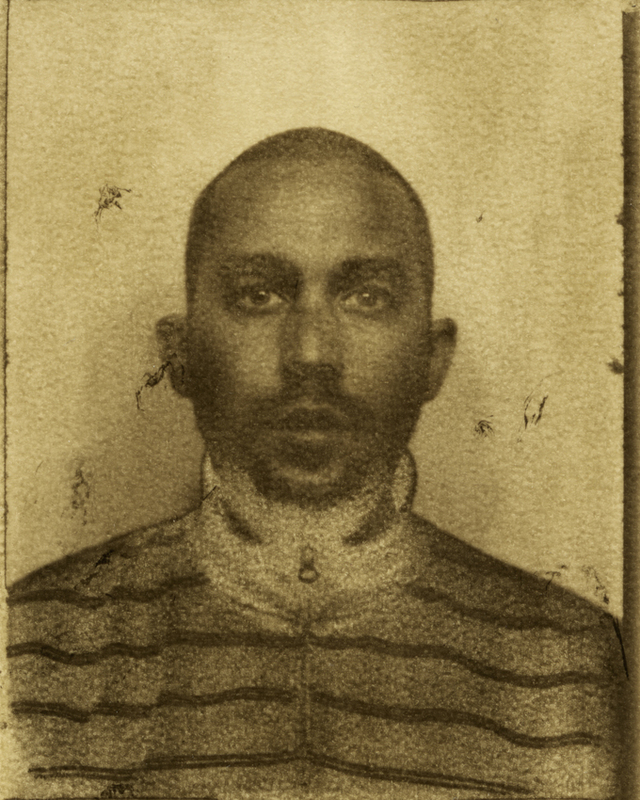 These “personalities” are enhanced by multiple ambiances created through the serendipity of the photobooth process. From a windswept fisherman, a chilling Ku Klux Klan’s man, and a jazz dude, to pictures reminiscent of old police mug shots, the characters cascade from the pages. Sometimes we spot the real Daniel, gazing serenely at us. Then there are the Daniel-less, painterly strips, where one could imagine Rothko having had a hand, if it were not for the knowledge that each frame was a product of a camera. Living and working in the Netherlands, Daniel created this series in the booth at the RayKo Photo Center in San Francisco, while holidaying in California. You can see more of the book and Daniel’s other works here. *NB Movember is an annual, originally antipodean, month-long event involving the growing of moustaches, (known colloquially in Australia as a “mo”), during the month of November. The Movember Foundation charity runs events to raise awareness and funds for men’s health issues, such as prostate cancer and depression. Sounds like a great book. Does the author know about this review? I only saw the book on-line and know a some of Daniels beautiful work. Ridiculous I didn’t order it yet but after reading your review my only excuse is I have little money.